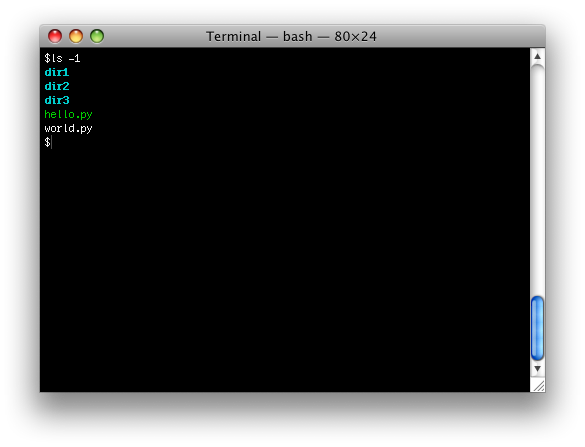 The terminal in OSX has very basic theming. You can change the background and foreground colors, the font face, etc. Coming from a gnome desktop, you may find it annoying that you can't change the colors of directories, links, and executables when typing the ls command. 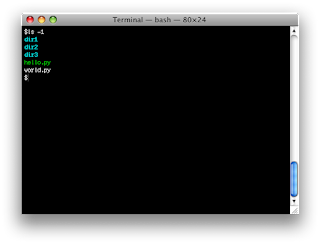 The first line tells the terminal to use ANSI color sequences to distinguish file types. The second line is where all the magic happens.